The Balkans are a fantastic place to go hiking or for an outdoors holiday. With plenty of mountains, lakes, and forests, the Balkans offer a true opportunity for adventure and some of the most spectacular views. You can always choose between short and long distance hiking trails, depending on your level of fitness and available time. The highest mountain in Greece and the home of Greek gods according to Greek mythology, Mount Olympus has always attracted the attention of people. 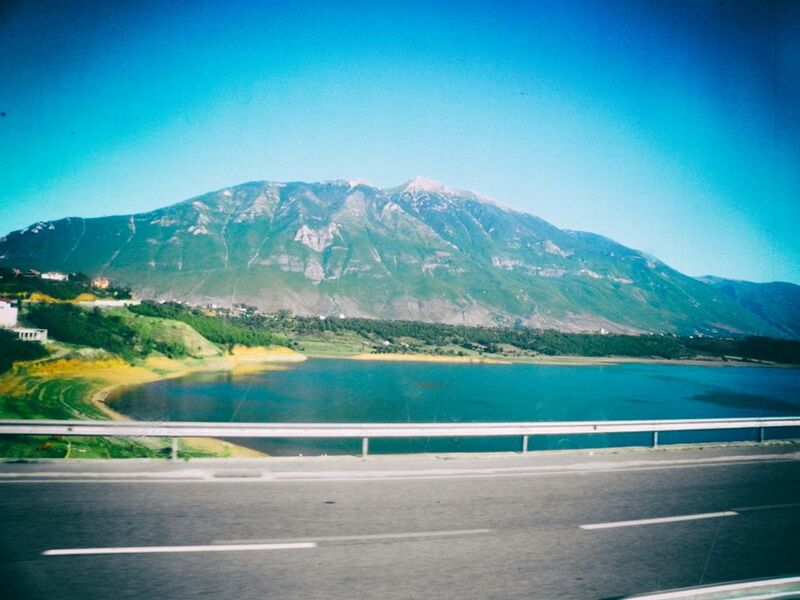 The mountain is located 80 km southwest of Thessaloniki and is relatively easy to get to. It offers numerous hiking paths, among which the Litochoro – Prionia – Spilios Agapitos is the most popular. The route consists of walking along the beautiful Enipea Canyon, Agios Dionysios monastery, spectacular Enipea waterfalls and more. Due to many ascents and descents, it is more suitable for experienced hikers. If you decide to stay on the mountain you can sleep in one of the refuges. The one in Agapitos is the most popular. The length of the route is 17 km and it takes around 8 hours to complete it. Rtanj won’t top the lists of the biggest mountains in Serbia but it is definitely one of its most mysterious. With its pyramidal shape, there were many theories of the existence of this mountain. Some believe it is alien’s creation while others sought shelter prior the famous Mayan doomsday which obviously didn’t happen. Theories aside, Rtanj mountain is a beautiful hiking spot with lovely villages in its vicinity. It is also famous for local tea called Rtanj which has many health benefits. Rtanj’s highest peak Siljak offers beautiful views of the area and the mountain is home to many rare healing herbs. The mountain is best accessible from the town of Boljevac. Vitosha mountain dominates Sofia’s cityscape and is the city’s most notable symbol. It is one of Bulgaria’s best mountains for hiking, skiing, and alpinism and is also the oldest natural park in the Balkans. The best hiking paths on Vitosha are Aleko Hut – Cherni Vrah peak; Boyana Church – Boyana Waterfall and Vladaya – Golden Bridges. Boyana is Sofia’s elite suburb and Boyana Church is listed on the UNESCO’s World Heritage Sites. The easiest way to get to the mountain is with a bus or a taxi. Buses can have sometimes irregular schedules and taxis are inexpensive so I’d recommend saving time by going with the latter option. If you don’t have time to organize this daily trip by yourself you can choose to book a tour to the mountain. 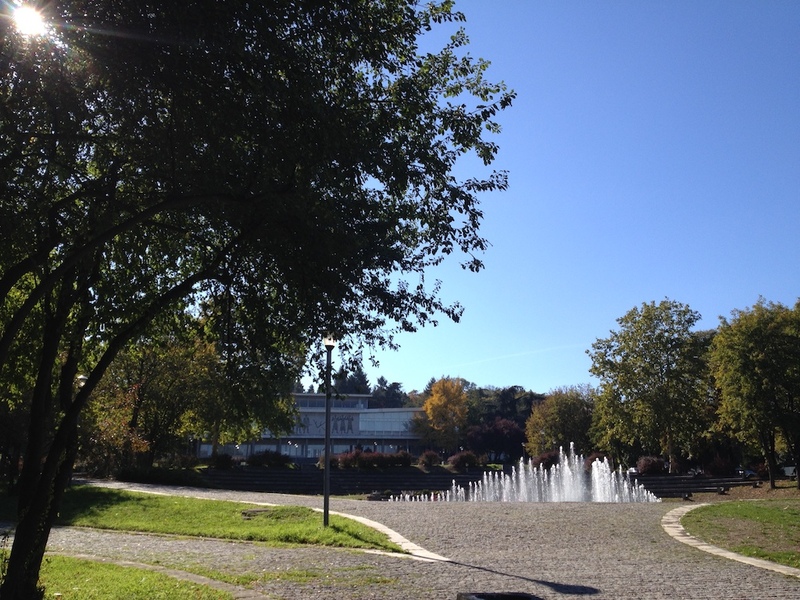 Also, don’t forget to check out my detailed guide to Sofia. The Accursed Mountains have always topped the lists of great hikes in the Balkans, and Europe in general. There are three national parks situated in the mountains – one is in Montenegro and the other two in Albania. One of Europe’s most remote areas, the Accursed Mountains offer beautiful scenery, picturesque villages and a real mental challenge! This walk is best for the more experienced hikers. You can start your tour from the town of Shkoder and pay a visit to the nearby Rozefa fortress. Albania used to be isolated for years, however, that’s slowly changing and the country is drawing more attention thanks to its beautiful beaches and the Accursed Mountains. You can read more about my journey to Albania here. Durmitor is a national park in northern Montenegro. This area is famous for the Tara Canyon which is the deepest in Europe. The town of Zabljak from where most hikes are starting is the highest populated town in the Balkans. Durmitor is mostly known for its glacier lakes. There’s 18 of them and Crno Jezero (Black Lake) is the most famous. It is very close from the main town of Zabljak. Crno Jezero is a good starting point for half-day and daily hikes. Walking through beautiful forests, admiring the lakes and tasting authentic local cuisine, are one of the top and must have experiences in Northern Montenegro. These features regularly place the mountain among the greatest hikes in the Balkans. 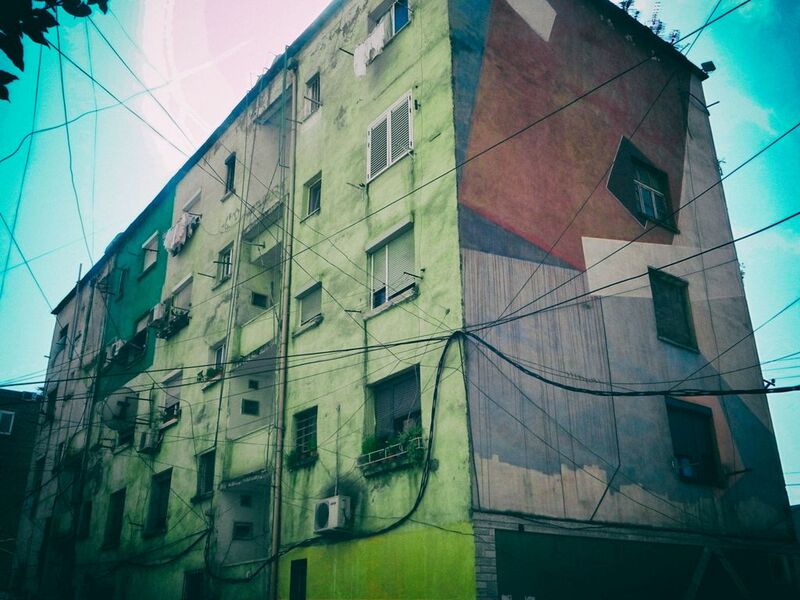 Tirana, the capital of Albania, is a colorful and chaotic place. Although it’s not the first choice for tourists who either go to the seaside or the Accursed mountains, Tirana is a true find off the beaten path. 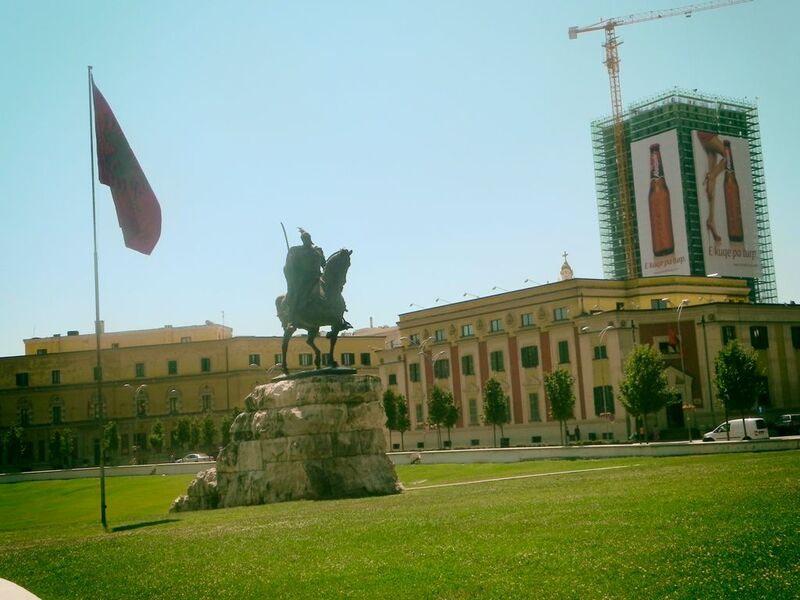 This is Tirana’s central square famous for its statue of Skanderbeg – Albanian national hero. The square is also home to other famous landmarks such as the National History Museum and the National Theatre. Dëshmorët e Kombit is a major boulevard which starts from the Skanderbeg Square and hosts many buildings in Italian architectural style. It’s nice for a stroll and it will lead you to another famous landmark – Mother Teresa square. One of the oldest landmarks in Albanian capital. You can climb the tower for nice views of the city center. Mosque is built in 1821 and is famous for its interesting interior. 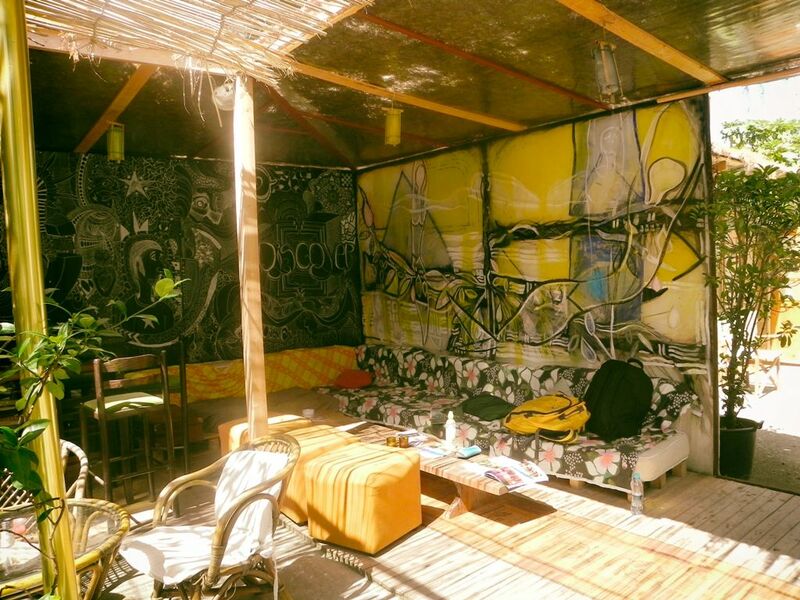 BUNK’ART is Tirana’s new museum and one of the most popular attractions. It consists of two parts. 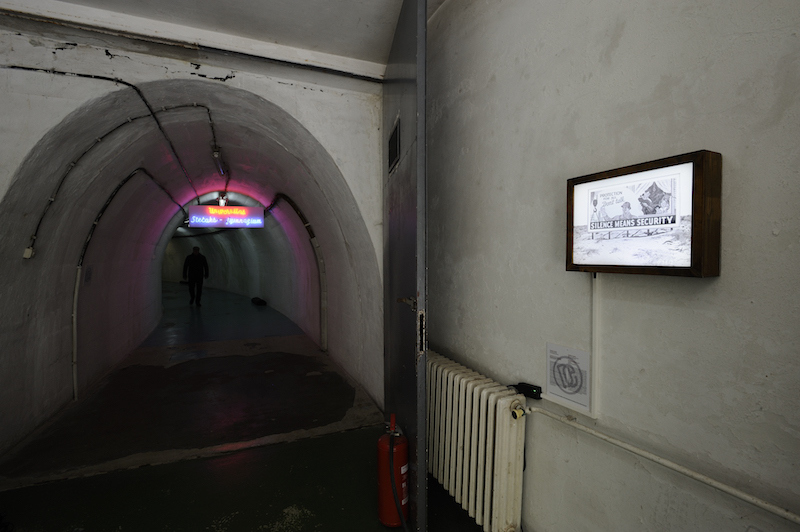 BUNK’ART 1 showcases the daily lives of Albanians during the communist regime, while the BUNK’ART 2 reveals the secrets of Enver Hoxha’s police. There are also other historical exhibitions. National Historic Museum is the prime spot for learning about Albanian history. Museum exhibits items from the ancient times to the Hoxha’s regime. On the other side National Art Gallery exhibits mostly modern art from Albania and abroad, but also the country’s socialist realism. 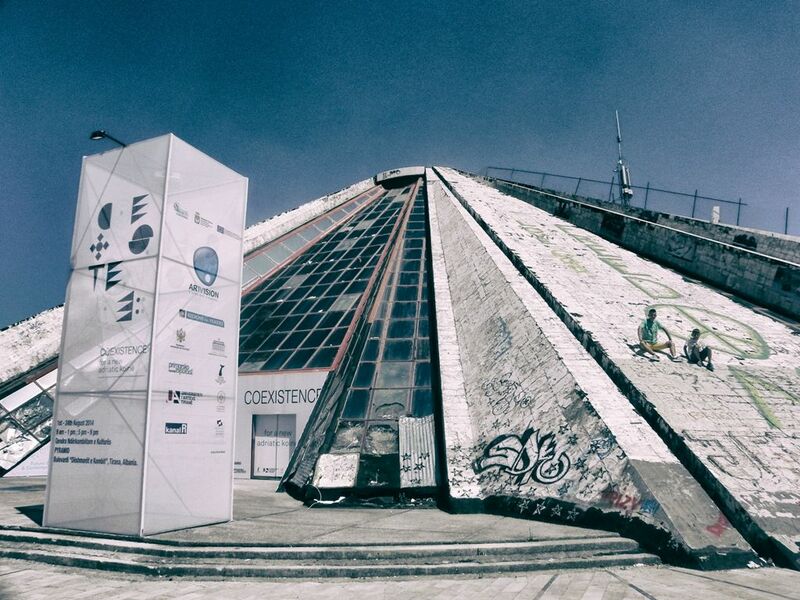 Tirana’s pyramid is a famous tourist attraction. 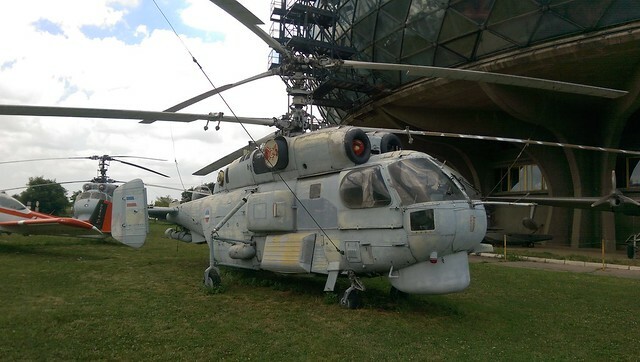 It used to be a museum dedicated to Enver Hoxha built in 1987. 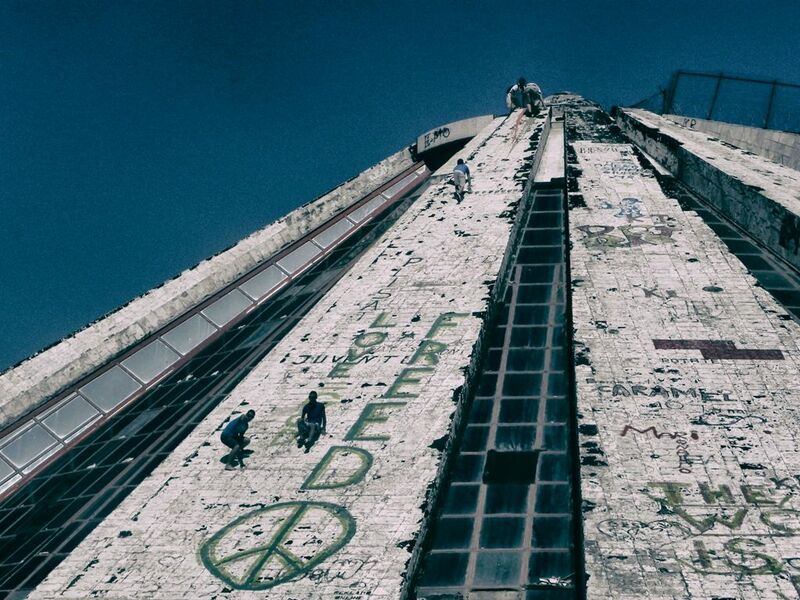 Now it’s a derelict building filled with graffiti on which kids and tourists like to climb and take photos of. In the past it also hosted a disco club called The Mummy. This neighborhood is widely known for its cafes, restaurants, boutiques etc. and is mostly visited by young Albanians. 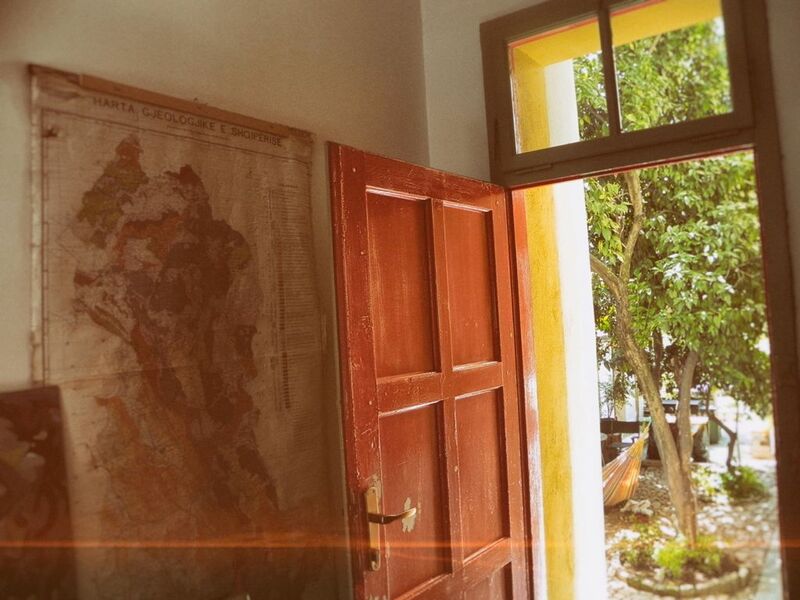 The former residence of Enver Hoxha can be found here. 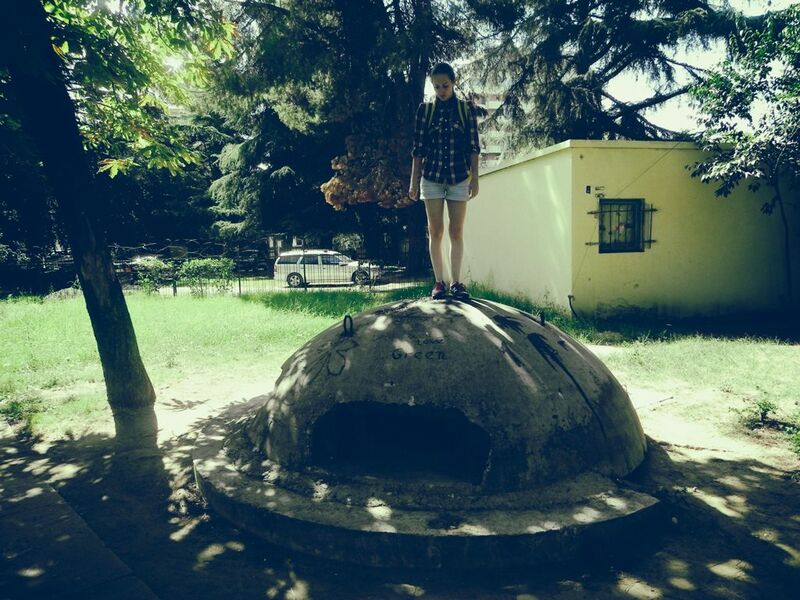 Albania is the land of bunkers. You’ll find them at many places in the city as well. 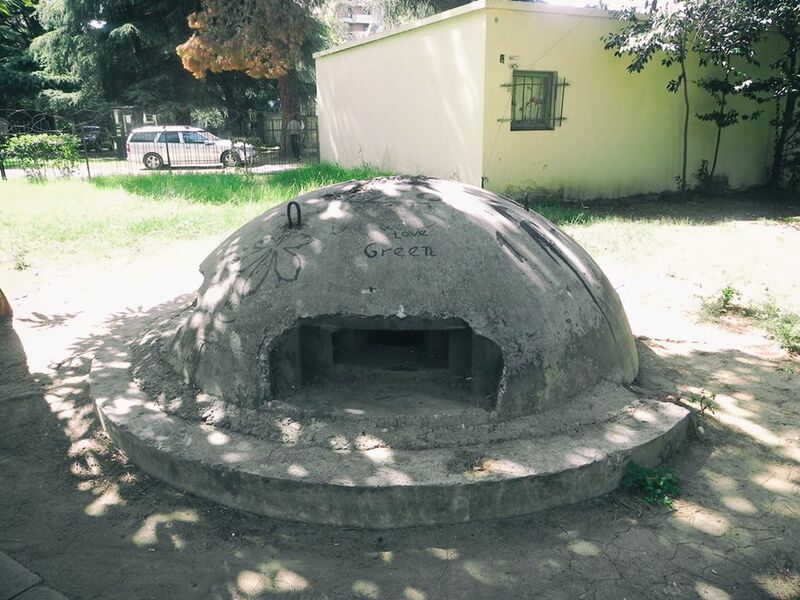 After leaving the Warsaw Pact, Albania constructed nearly 700,000 bunkers across the whole country. As they’re difficult to be destroyed many locals decided to get creative and paint them in different colors. Postblokku which is located just across the Parliament offices features an original bunker and a fragment of the Berlin Wall. Mount Dajti is a nice escape from the city during the hot summer months. There’s a cable car which will take you to a plateau with great views of the surroundings and Tirana. There are also a couple of trails if you love hiking, ideal spots for a picnic and restaurants. The second largest square in the city which is home to the University of Tirana and the Archaeological museum. 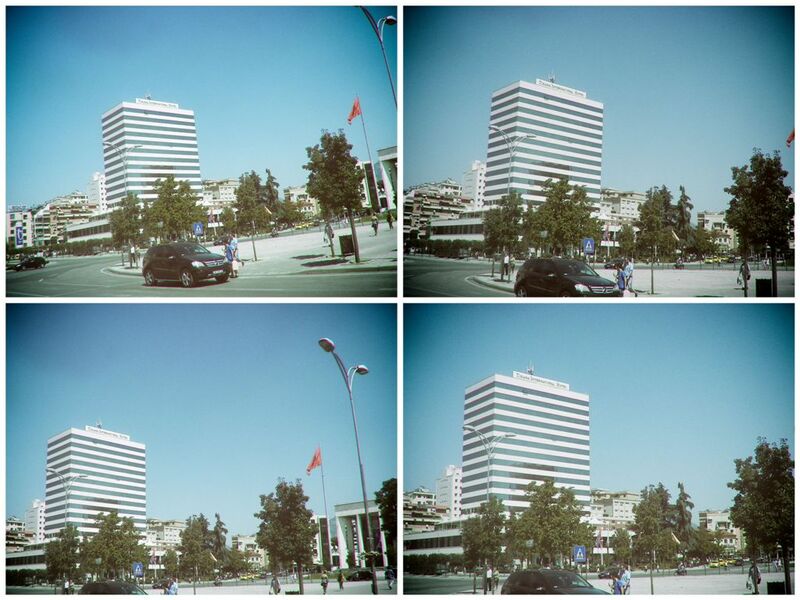 Tirana Art Lab was founded with an idea to showcase emerging artists from Albania and Europe. 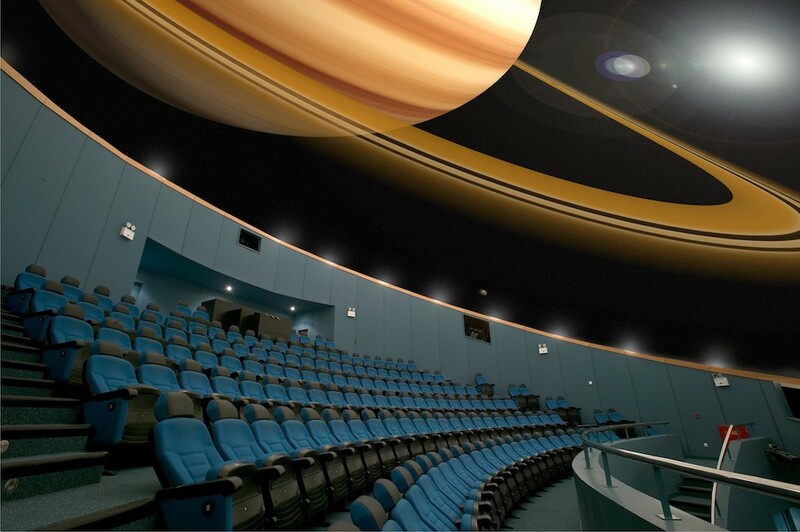 It hosts exhibitions, lectures and workshops. 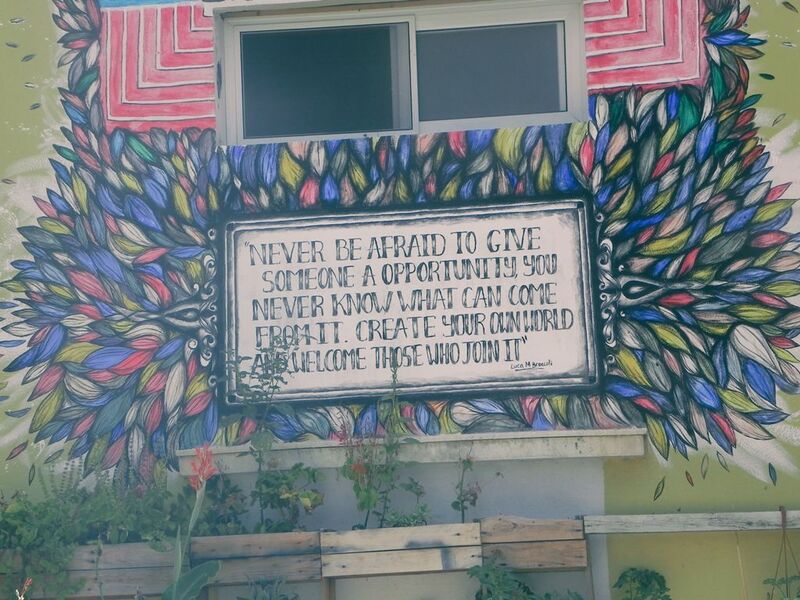 Artists can also apply for their residency program. You can compare the cheapest rates on accommodation in Tirana by visiting HotelsCombined or Booking. The best and easiest way to get to Tirana is by flying. Check out Momondo for a cheap flight to the Albanian capital. Do you have any suggestions on things to see and do in Tirana? Feel free to comment below. A journey to Albania- With only 178,000 overnight stays in 2013, Albania is one of the least visited and least known countries in Europe. It’s really rare to hear anything about it on TV and the country is usually surrounded by mystery and prejudices. It used to be isolated for very long periods of time which made it unique in comparison to many other European countries. However, Albania is waking up and it’s trying to attract more tourists with its interesting and specific tourist offer. As I was always really curious about alternative destinations (just like my friend Luke from United Kingdom) we decided to give a chance to Albania. We bought bus tickets in Belgrade and took off to Prishtina where we arrived seven hours later. A bus station in Prishtina is at the end of the Bill Clinton Boulevard where buses leave often to Tirana. We decided to go through Prishtina thanks to the new and modern highway which makes the journey faster than going through Macedonia. 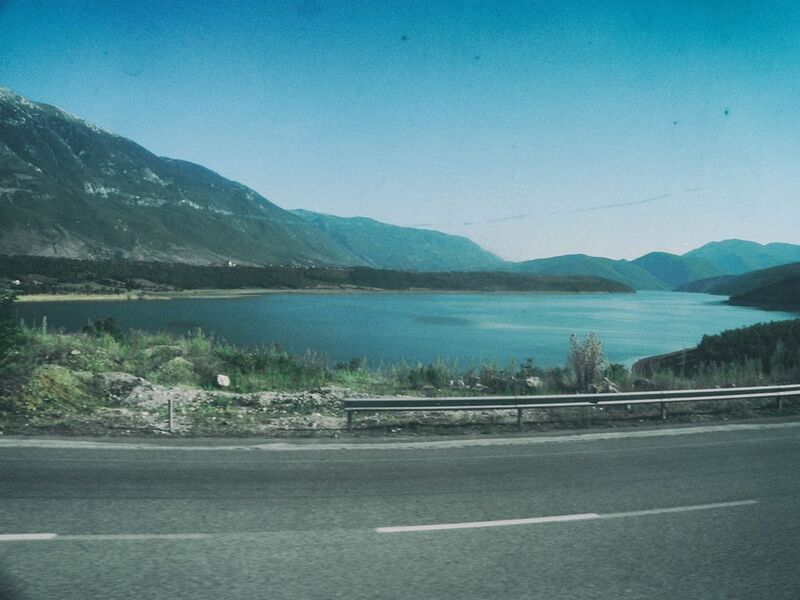 This highway looks seriously great and on the way to Tirana we passed through a six kilometer tunnel. 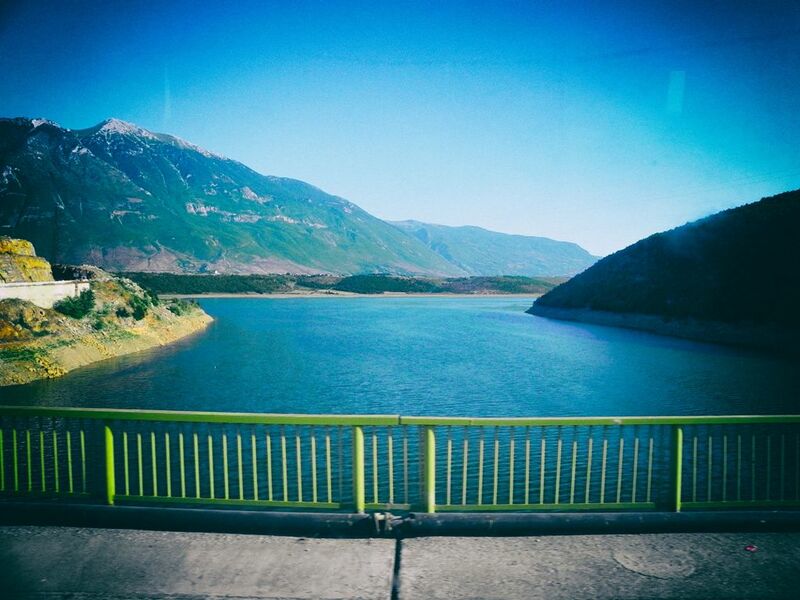 The northern part of Albania was a real surprise as the nature here is beautiful. At some point a bus stopped for a toilet break, and although squat toilets are no more the norm you will find them in many places outside of Tirana. There’s no running water so you have to use a bucket full of water to flush 🙂 You’ll find them in many cafes and restaurants by the roads. Bring wet wipes so you can clean hands as many places don’t even have a soap. Another thing you will notice when traveling around the country is that 80% of the cars are Mercedes-Benz. It really is an interesting phenomenon and Albania has the highest percentage of Mercedes per capita. I’ll point you to an interesting article made by the New York Times “In Poor Albania, Mercedes Rules Road“. You will also notice the large numbers of bunkers that are spread throughout the country. 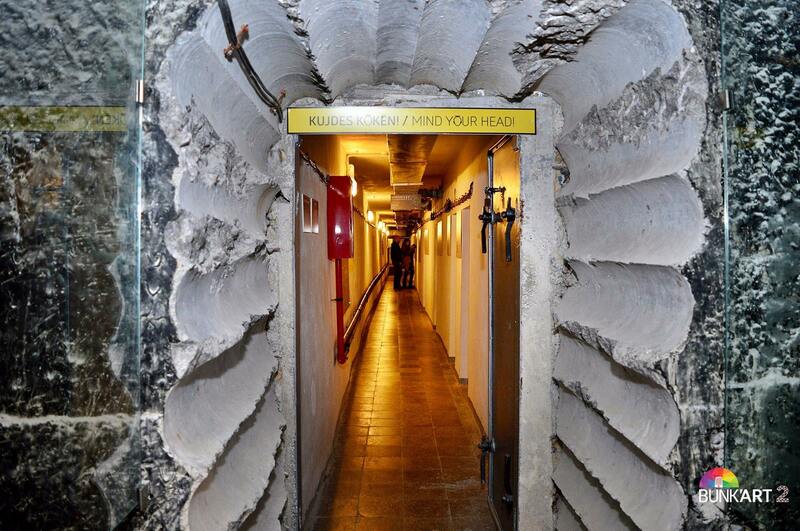 Leaving Warsaw Pact, Albania constructed 700,000 bunkers as a form of defense against the enemy. You’ll spot the bunkers on the mountains, at the beaches, in the cities and well, almost everywhere. Most of them were built in the period from 1950 to 1985. They are extremely hard to destroy or move, so the only thing locals could do was decorate them in different colours. We arrived to Tirana at the evening and immediately headed to our hostel. We stayed in Tirana Backpacker Hostel which has a great green garden. Hostel can accommodate 54 people but it was full when we arrived so we stayed in their newly built private cabins (28 EUR). You can search for accommodation in Tirana via HotelsCombined or Booking. The evening ended with me trying to explore the gastronomic side of Tirana. Once in Albania you should try byrek which comes in many forms and can be filled with meat, spinach, cheese etc. Turkish kebab and meat balls are also very popular and you will find them everywhere. 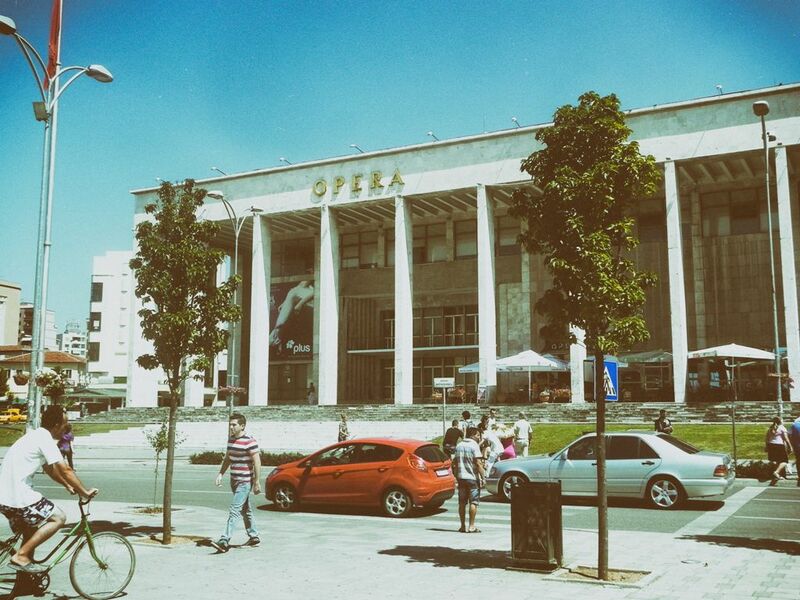 Next morning we took off to discover the city and got familiar with Tirana’s crazy and noisy side- its traffic. 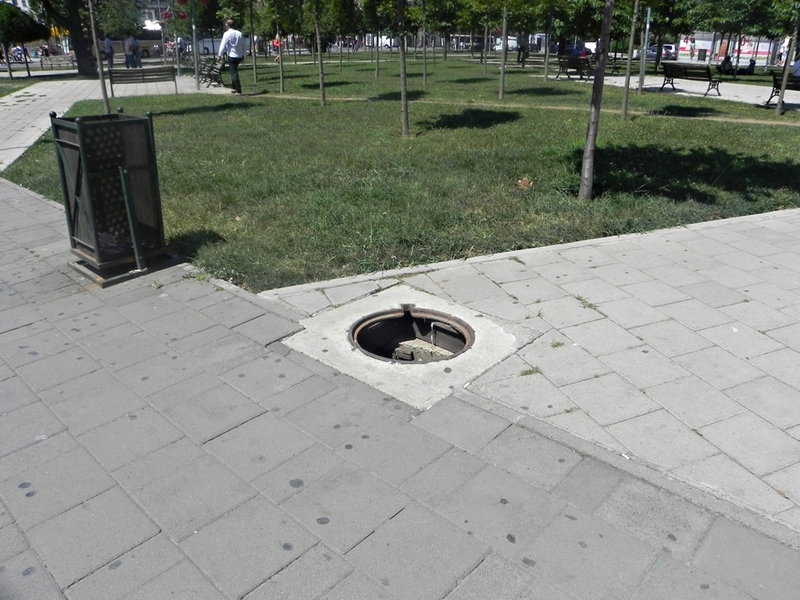 You should be careful when walking at the night because some streets are full of holes and some are even missing manhole covers. 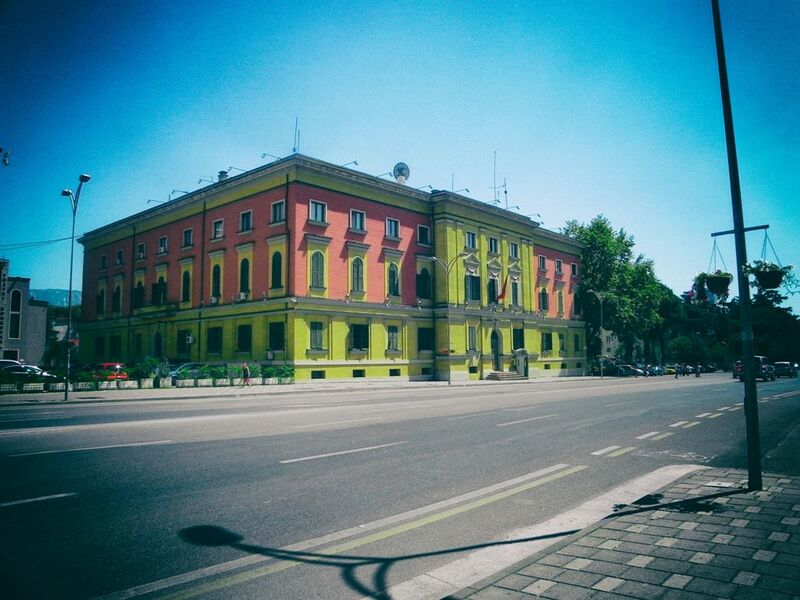 Architecture in Tirana is a mix of Italian, Ottoman and Communist styles. 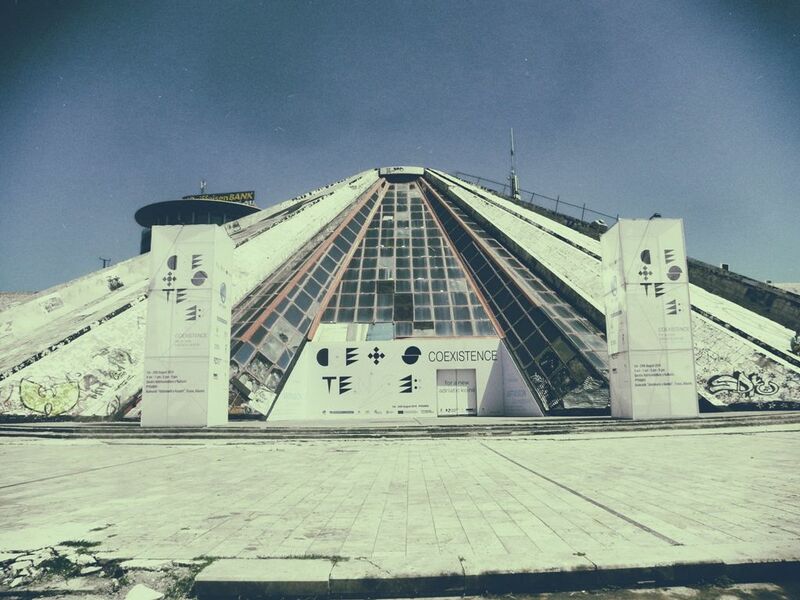 One of the most famous landmarks in Tirana is its pyramid. 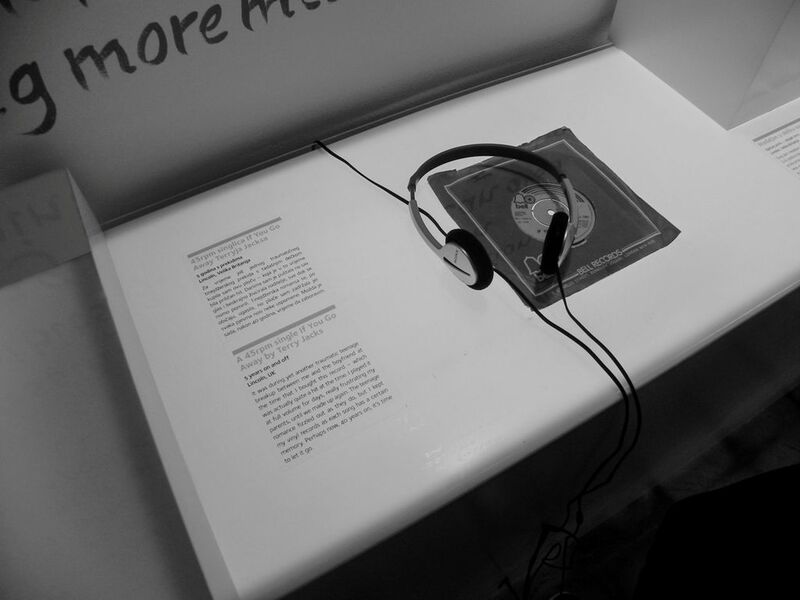 It was a museum of Enver Hoxha in the past, while today it’s being used as a broadcasting center. It’s very popular among the locals (especially kids) who actually climb all the way to the top of the pyramid. Pyramid was also a venue of a disco club called The Mummy. After Tirana, our next destination was Shkodra which is the fourth largest city in the country. As Tirana doesn’t have a bus station you need to look for a place where furgons (mini buses) stop. This is of course a challenge, so I recommend getting a taxi to take you to the right departure point. The schedule is not always accurate, because the drivers sometimes wait until furgon gets full. In Albania everyone travels with furgon which can accommodate 9 to 12 passengers. It’s the quickest and the cheapest way to travel around the country. The one we got into was full and the ride was a total adventure. For instance, we got stopped by the police and afterwards a driver stopped a furgon so he could go buy a watermelon. Once we got to Shkodra we tried to communicate with the driver and explain him that we’d like him to take us to the border with Montenegro which turned out to be a sign language conversation. Nobody in the furgon could speak English and the only thing we got was “Parlare Italiano“?. This is no surprise as in 1991 about 20,000 Albanians went to Brindisi from Vlore as refugees, but eventually they were given an opportunity to stay in Italy. 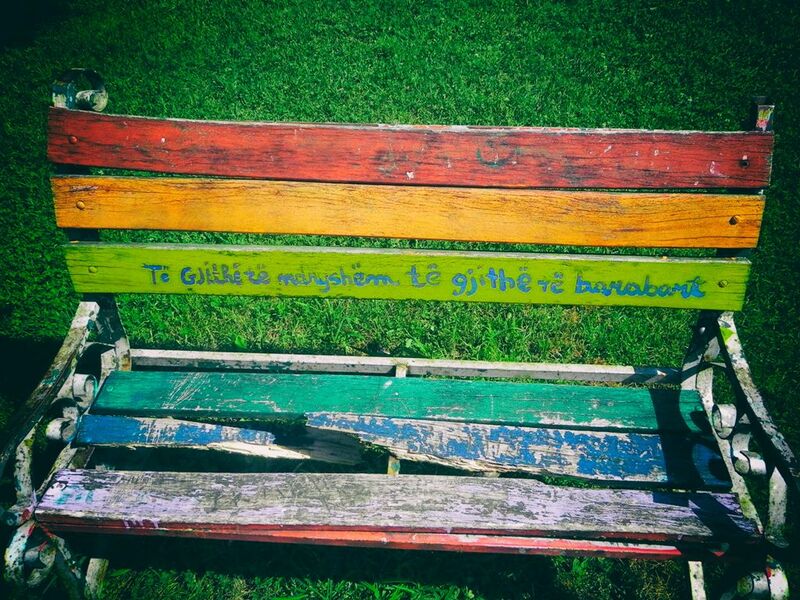 Shkodra is an interesting place. The surrounding area is beautiful as Prokletije mountains can be seen in the back and the largest lake in the Balkans is located here. Walk along the main pedestrian street and definitely don’t miss seing Rozafa fortress. It’s one of the most beautiful landmarks in Albania and the views from the top are beautiful. 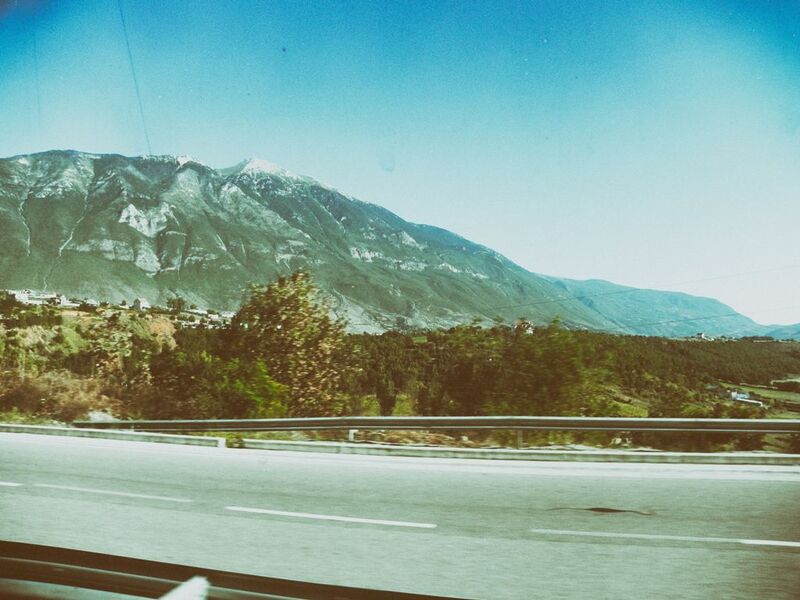 Unless you don’t plan a road trip I suggest going to Albania by plane. AirSerbia is starting flights to Tirana from September 23rd which will connect this city with other European cities through its hub in Belgrade. Although there are many prejudices surrounding Albania, number one problem is safety on the roads. New York Times included Albania in their “Top 52 places to go in 2014”, and although the country needs investors in order to improve its touristic offer and infrastructure, it’s definitely a place to go if you are lover of alternative tourism and if you wanna visit this place before it gets exploited by mass tourism. Next time I’d definetely like to explore the Ionian coast.